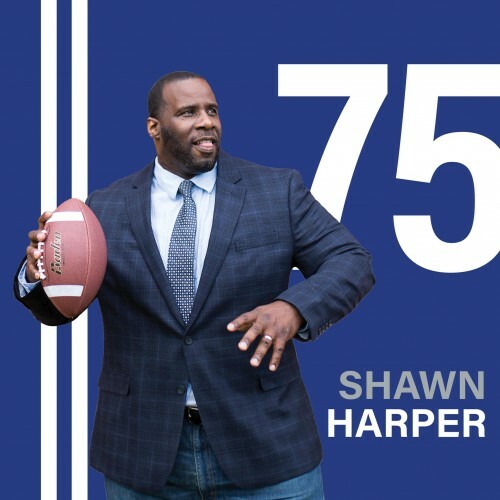 From NFL locker rooms to corporate board rooms around the United States and Europe, Shawn Harper is applying the secrets he has learned about winning in business, in sports, and in life and sharing them with the world! With over 20 years of public speaking experience, Shawn has risen to become a renowned and beloved motivational/inspirational speaker to hundreds of thousands of people from all walks of life. "People would say, “Shawn, you're a failure... you're dumb… you're a loser.” I failed the first grade. I stuttered my entire childhood, and kids called me names. I was even voted most likely to fail by my high school peers. I was marked. It was cruel, but I CHOSE to use it as fuel. I CHOSE to listen to my inner voice. I CHOSE to focus on winning. You have to CHOOSE your true identity. You have to CHOOSE to focus on your dream. You were born to WIN––– IF you CHOOSE it. I bring everything I know about winning to my game on stage. Never a dull moment. I'll take you out of your seat and onto the playing field with me. Everything I learned in the NFL locker room is fair game in the boardroom and in life. Winning is about pouring yourself into your hopes and dreams and being able to share it with other people: corporations, organizations, individuals, youth, families. It's about legacy. It's about changing the world." Shawn Harper is regarded as one of the top, up and coming motivational/inspirational speakers in the country. A former college and seven-year professional football player, Shawn uses wit, humor, feats of strength, and his NFL experiences to draw and captivate his audience. Shawn was on the roster of several NFL teams. Shawn is currently CEO of American Services and Protection in Columbus, Ohio. He is living proof that a set-back is a set up for a comeback! Shawn Harper travels the world sharing the wisdom he has gained through his life experiences. From corporate conferences and banquets, to college workshops/seminars, high and middle school assemblies, youth sporting retreats or camps, and non-profit fundraisers, Shawn Harper is the speaker for the occasion! He has the "WOW-factor" that mesmerizes his audiences. He is personable, believable, and humorous, and his messages are profound and life-changing. One of Shawn's best quotes is "You are not born winners or losers; you are born choosers!" FROM THE LOCKER ROOM TO THE BOARD ROOM! Join former NFL Player, Shawn Harper, as he shares powerful lessons learned from the football field and applies them to life after the NFL. This is not about success--this is about WINNING! These 8 principles and concepts leave the ordinary methods behind and show you how to find the detour to the front of the line! In this book, you will: *Understand the difference between success and winning. *Learn why you may not be achieving your goals and how to turn that around. *Know what to expect when you begin standing out from the crowd! *Discover how to overcome resistance and win! *Realize why you need to dream even bigger! This quick-read is power-packed with amazing concepts, invaluable life lessons, true stories from Harper's journey, and challenging questions to ponder after each chapter. Get started at life on The Winning Edge! Find out more about Shawn Harper at http://www.shawnharper.org.